Can I see your MADE SAFE® certification? Yes, our MADE SAFE® Statement of Certification for our Green Pillows and Organic Mattress Pad Protectors can be found here. 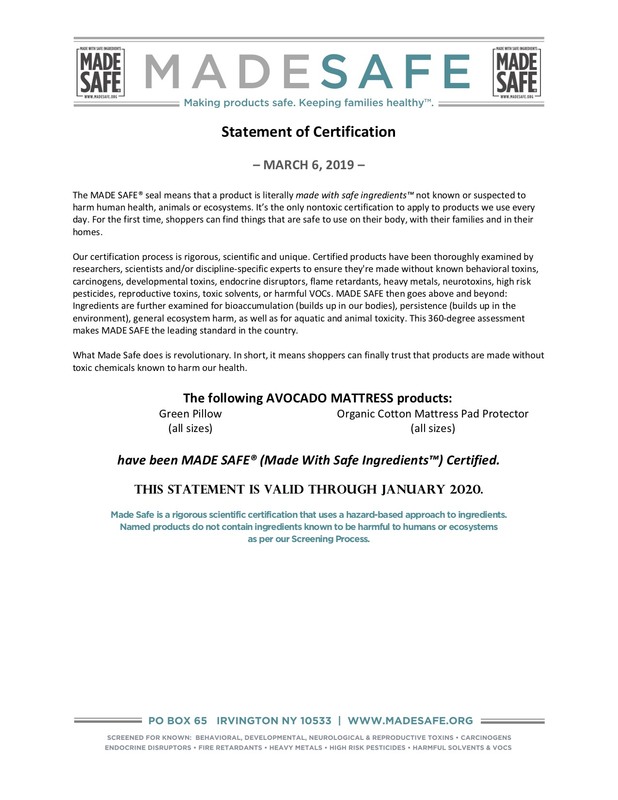 Our MADE SAFE® Statement of Certification for our Green Pillows and new Organic Cotton Mattress Pad Protectors is below.